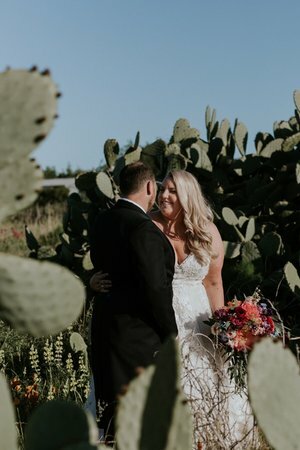 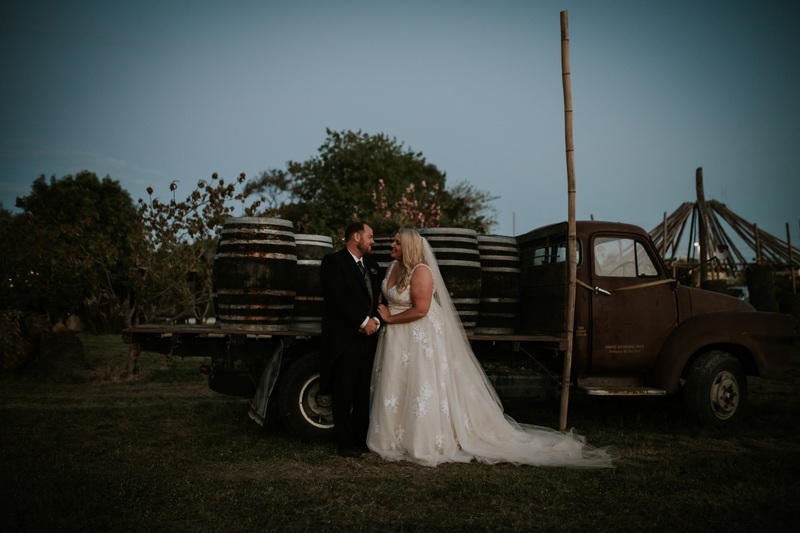 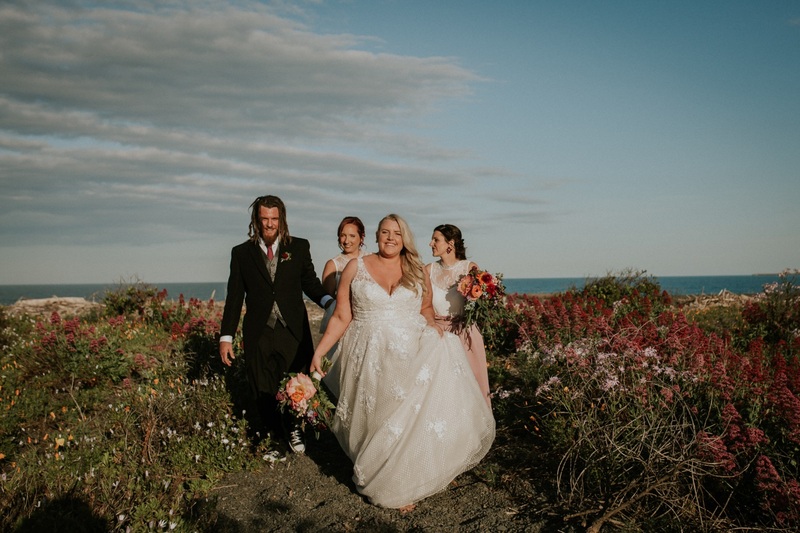 The beautiful Crab Farm Winery was where Melissa and Richard had their gorgeous wedding and for the sweetest reason too! 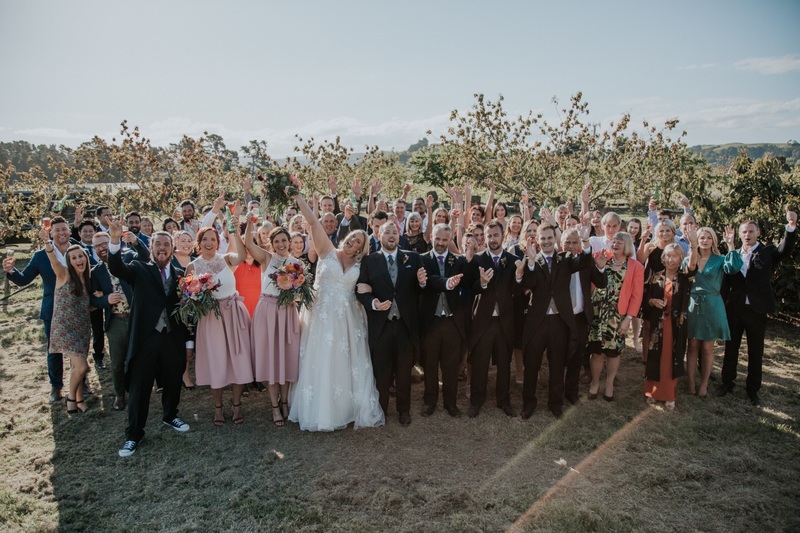 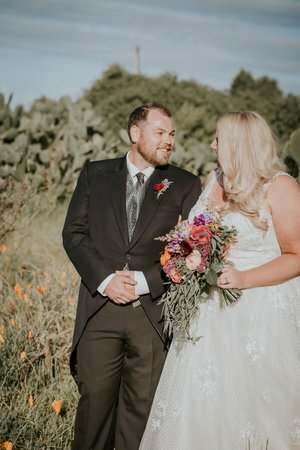 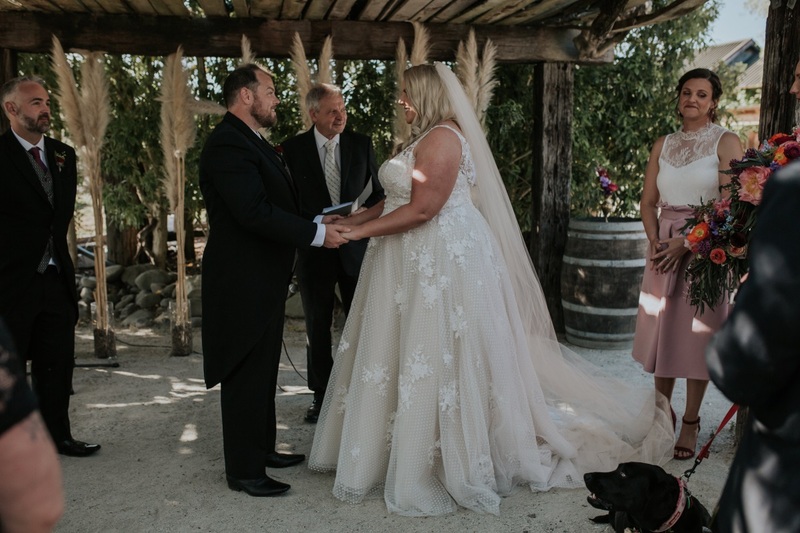 “Having a spring wedding at a winery was always the dream, and lucky for me Richard had the same idea! 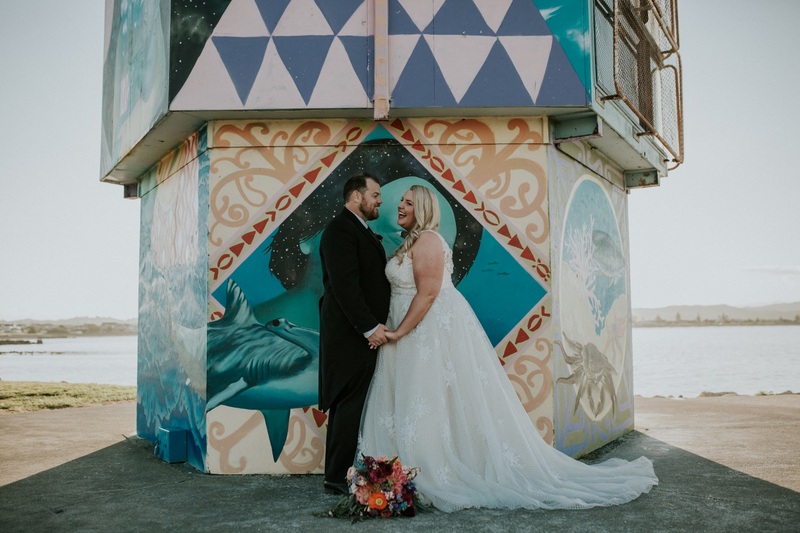 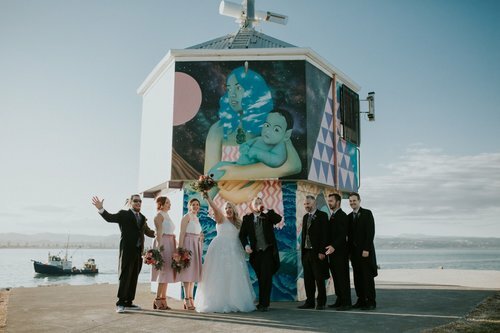 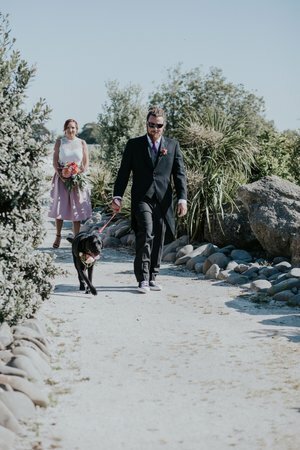 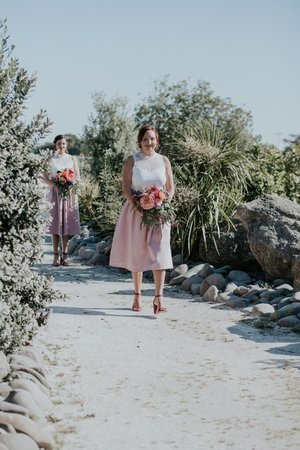 After proposing at my favourite winery in Hawkes Bay, Crab Farm Winery on Christmas Eve we decided it was definitely the place we would get married. 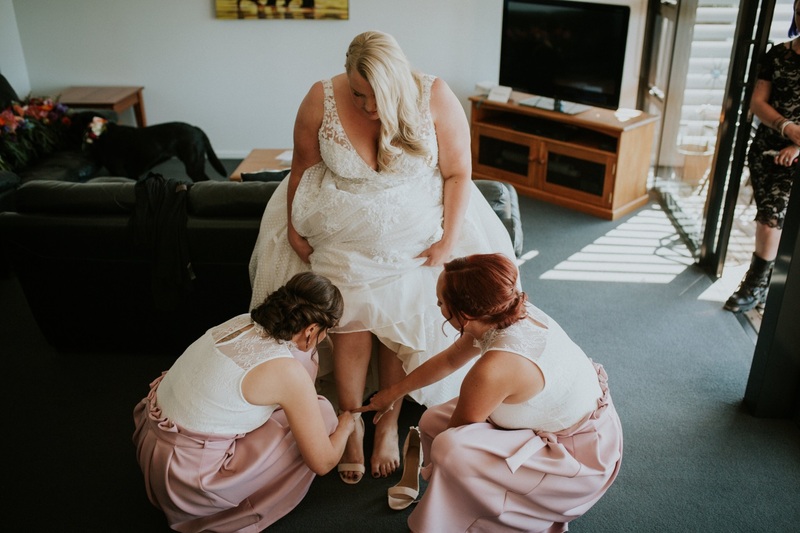 Our fabulous team in Auckland helped Melissa to choose Maggie Sottero’s Meryl gown for her big day. 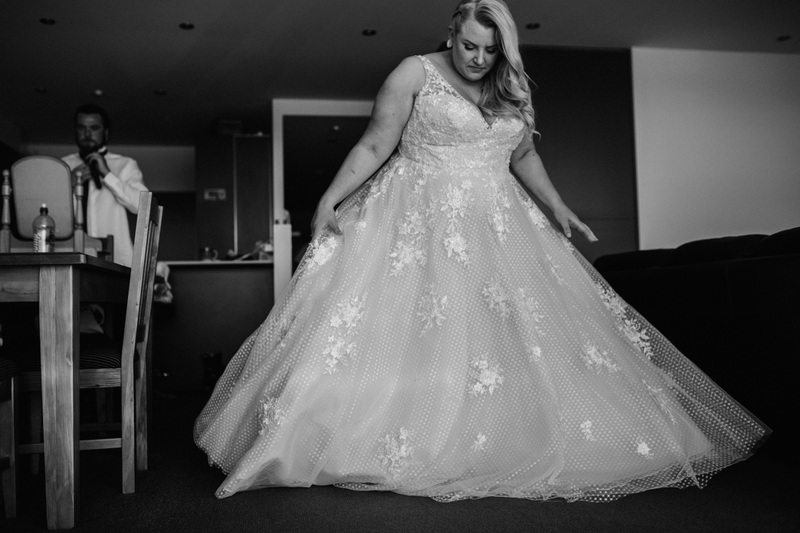 The spotted tulle and delicate floral motifs suited her beautifully and also fit in to the theme of the day. 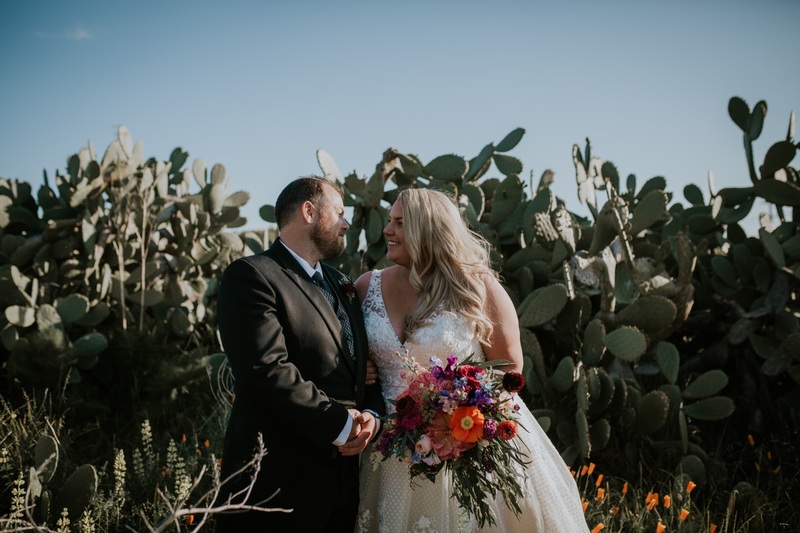 These stunning images are the work of Erica Kurth of Erica Kurth photography, whose talent behind the lens is definitely something to be in awe of! 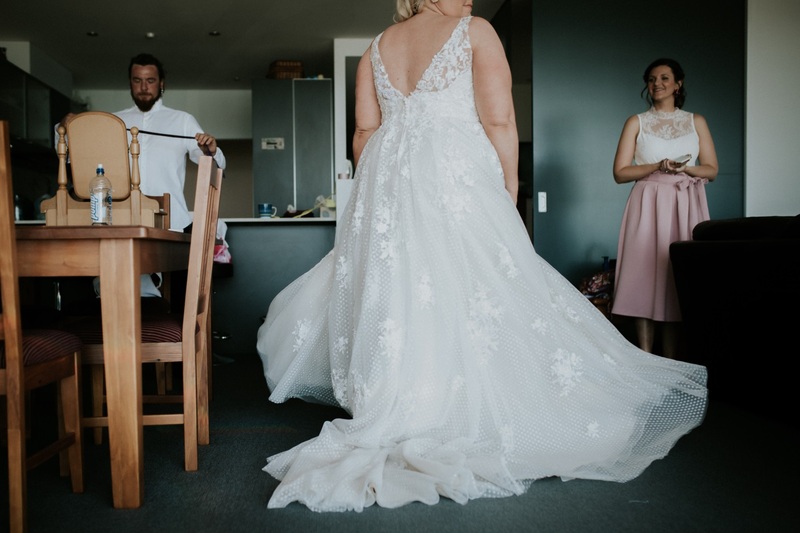 My favourite part of the gown was the polka dot tulle! 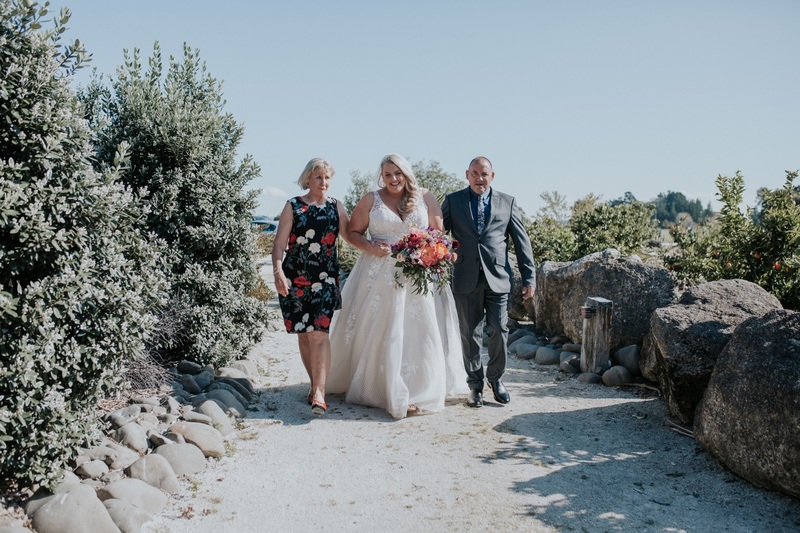 My favourite part of the day was walking down the aisle with my parents through all of our friends and family, towards Richard waiting under the pergola, only metres away where he asked me to marry him the December before. 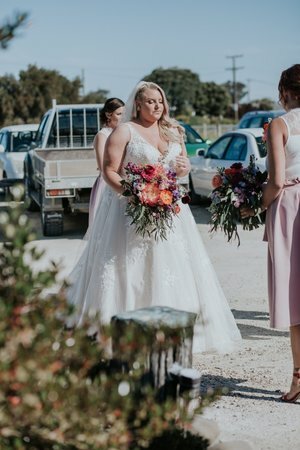 Also my mum crying when reading the final blessing before we become husband and wife. 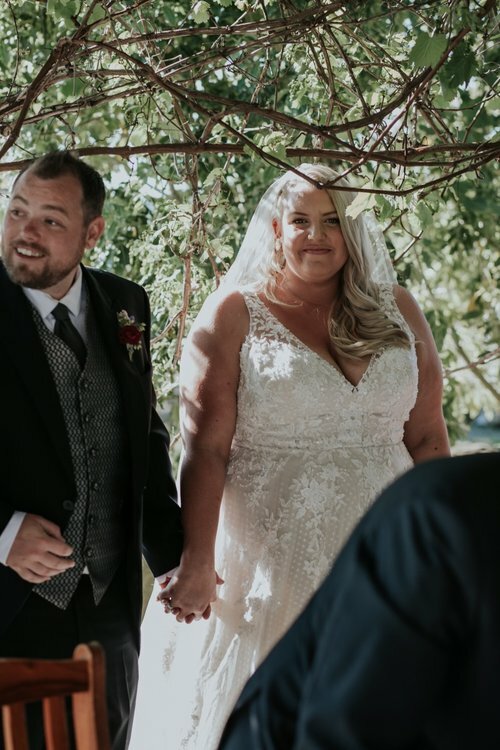 It was so raw and full of love and emotion, everyone started crying. 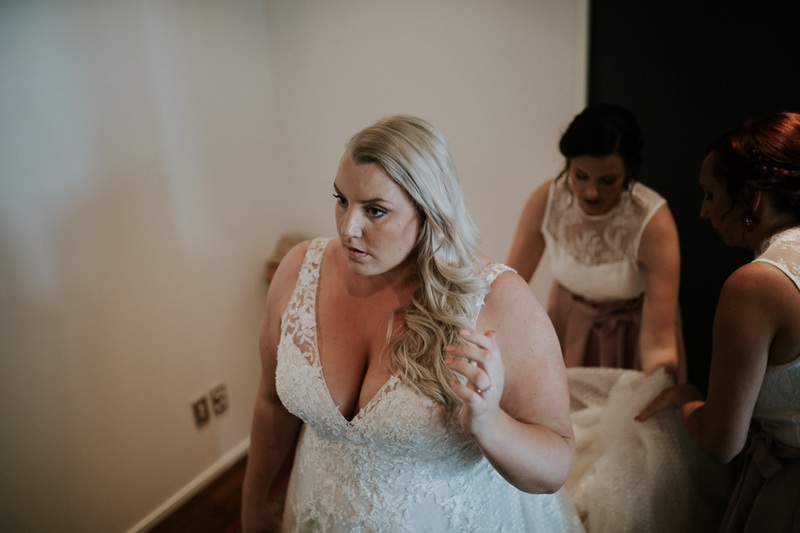 Melissa chose the Meryl gown with the 'Kate Spade' polka dots. 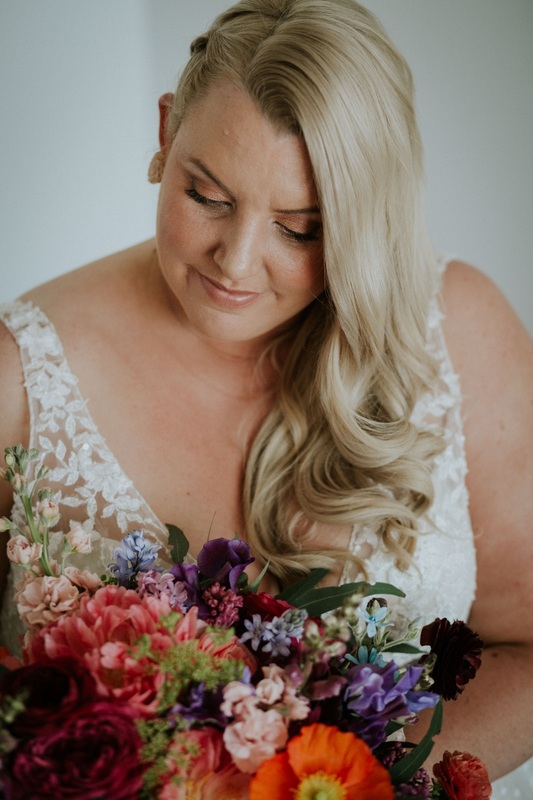 This rich colour is the ivory over light gold satin and we paired it with a butterscotch coloured veil.